This is our five day standard/basic package and includes Picton accommodation transfers, daily luggage transport from lodge to lodge, water taxi transfers to and from the track, packed lunches, private land track passes, an information kit and all accommodation. The standard accommodation are Chalet cabins at Furneaux Lodge, Tui units at Punga Cove Resort (pictured) and two nights (third and fourth night) in Courtyard rooms at Portage Hotel. All rooms are twin share and have attached private en suites. These rooms do not have cooking facilities. As part of all our packages a 1.5 hour visit to the predator free bird sanctuary, Motuara Island en route to the start of the track on the first morning. This is great opportunity to get up close and personal with the endangered birdlife that thrive in the environment as you make your way up the track to a fantastic look out point. Birds present here are bell birds, native robins, saddlebacks, wood pigeons, little blue penguins and kakariki. A packed lunch is included each day (apart from the fourth day) and generally consists of a filled roll or sandwich, a muesli bar or muffin, a piece of cake or similar, some trail mix and a piece of fruit such as an apple or orange. If you think that you would like more than this you are able to bring a long your own snacks but please note that there is nowhere along the track during the day where you can purchase additional food items. The lodges provide options for evening meals at your own cost in their restaurant. Each lodge also has an extensive range of local New Zealand wine and beer. Breakfasts, either continental or cooked is available each morning. The lodges accept cash and credit cards. If you have selected the five day package the third and fourth nights are at Portage Hotel. 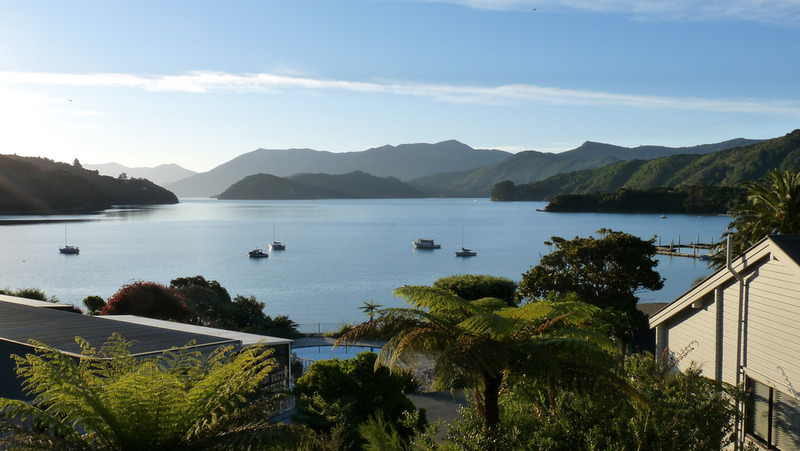 On the fifth day you walk out to Anakiwa at the end of the track to get a water taxi back to Picton. When you arrive back to Picton around 4pm you will be met by us and returned back your accommodation. The fourth day of the five day classic package is a rest day at Portage Hotel. Please note all bookings are on a request basis and confirmation booking will be sent.